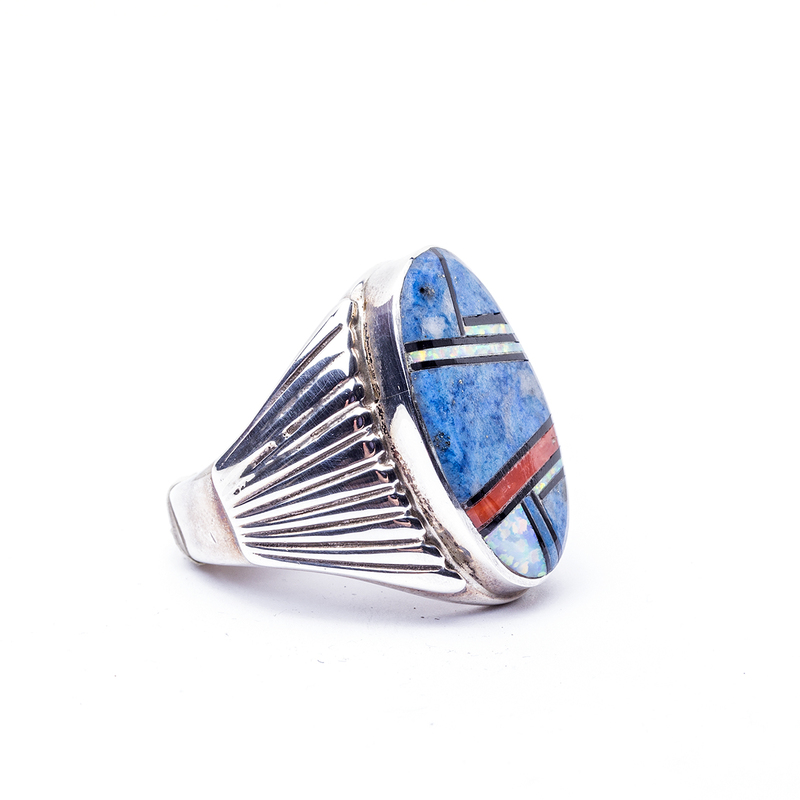 This Sterling Silver ring was made by the Navajo artist SF and features exceptional silversmith and inlay techniques. 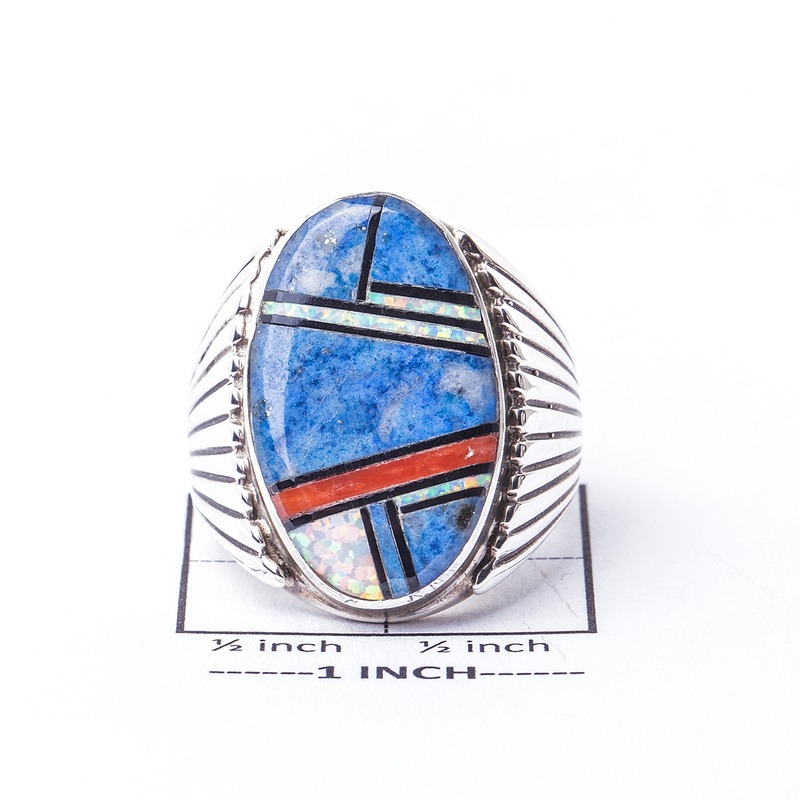 The Southwestern inspired ring has a striking look with its light blue Lapis, warm red Coral, colorful opal, and onyx. It has a contemporary look but the sun ray etchings on the side are rooted in Native American tradition. 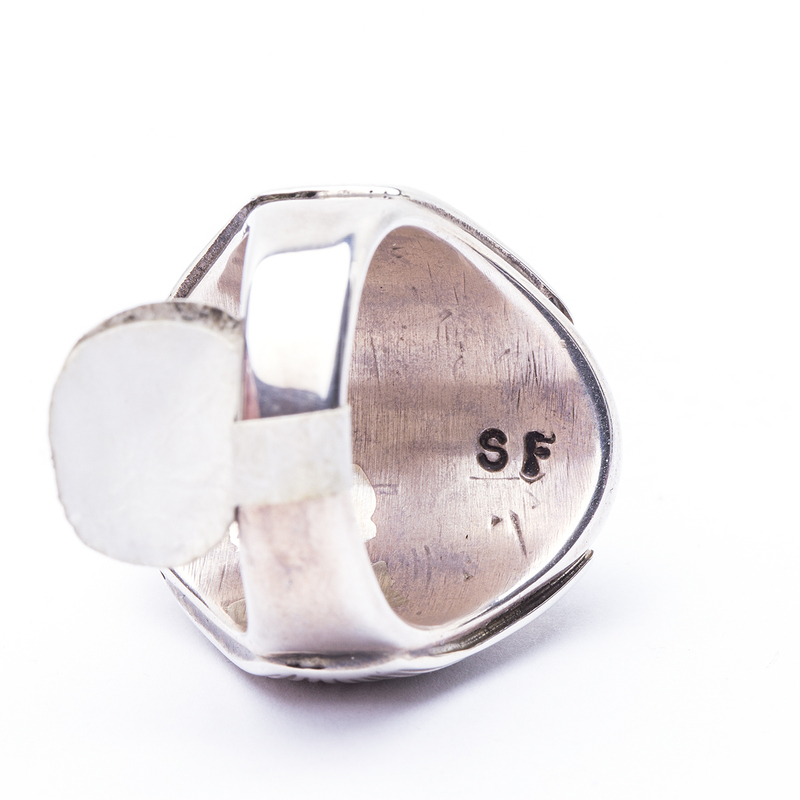 We can size this ring to fit you. We offer complimentary gift wrap. Just ask! 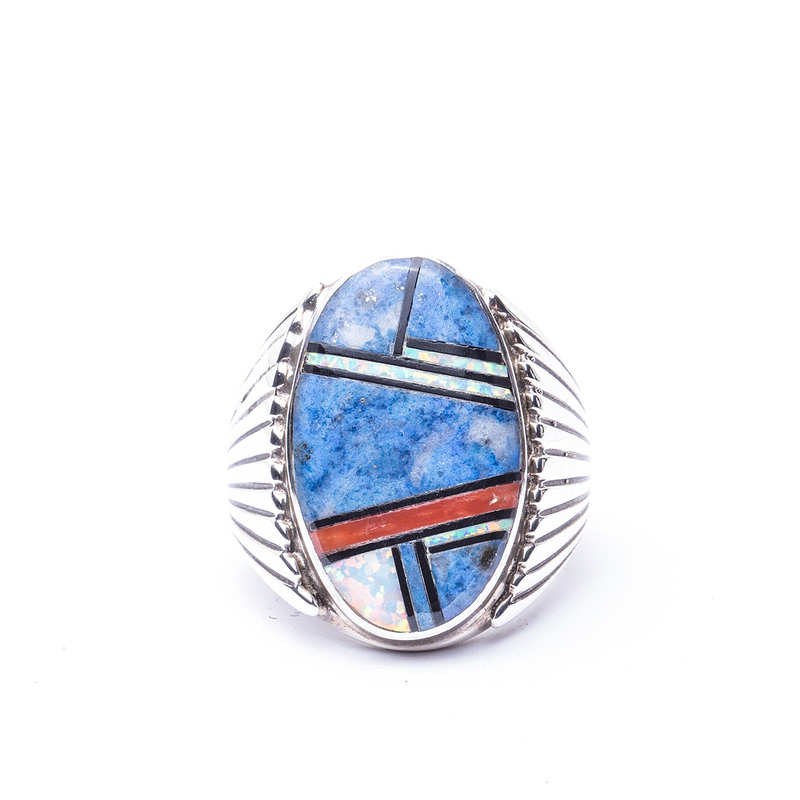 Navajo Artist SF Lapis Ring showcases fine inlay craftsmanship complete with light blue Lapis, warm red Coral, Onyx, and colorful Opal in a Sterling Silver ring.